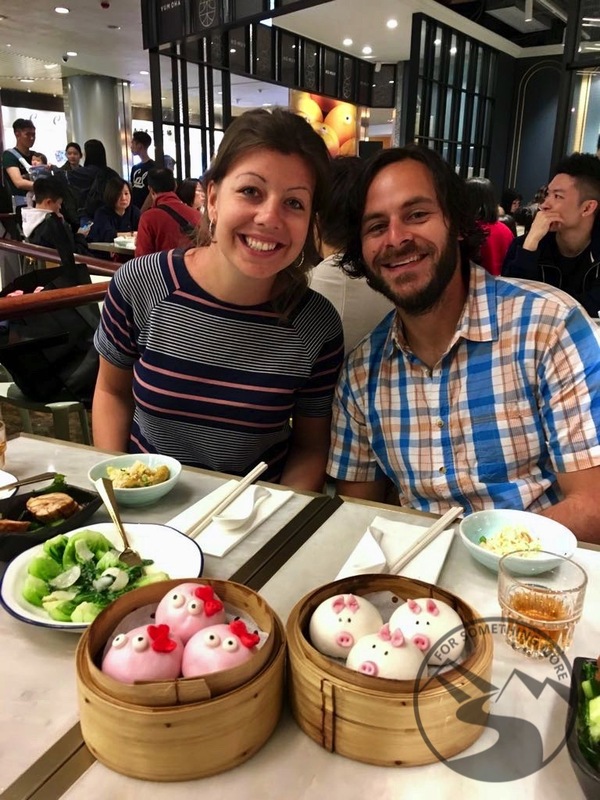 EDITOR'S NOTE: Seth and his partner Julia are both teachers abroad, currently based in Hong Kong. They also run the exciting travel adventure blog For Something More. Check it out! Do you know the feeling you get when you’re at home somewhere? I don’t necessarily mean when you’re in the place you were raised. I’m talking about the feeling of being in your element, in the groove, engaged with what you’re doing and comfortable with your surroundings. That’s the way I feel, broadly speaking, when I think of my experiences teaching abroad. No long-term experience abroad is without its struggles, and I’ve certainly had my fair share; but teaching abroad is something I just love to do. It’s something that makes me feel fulfilled. Simply put: When I’m teaching abroad, I feel at home. My name is Seth Schy. I’m 32 years old, and I’m an American expat. By day, I’m a secondary school English teacher. 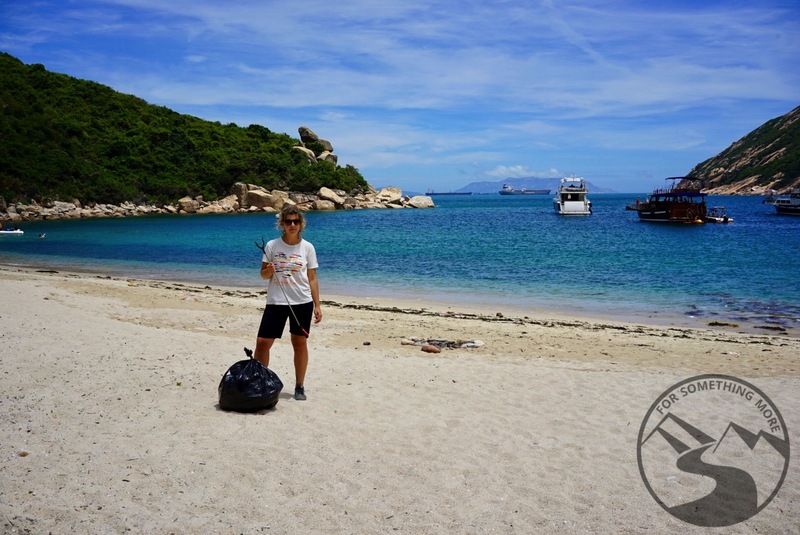 By night, I’m the founder of the adventure-travel blog ForSomethingMore. I share my life with my wonderful partner Julia, and we’re both teachers. We’ve both taught in South Korea (where we met), and in Hong Kong (where we are now). You can also read Julia's story here. I used to teach in Denver, Colorado; but after my wanderlust grew to a tipping point, I decided it was time to teach abroad. My first year teaching abroad was in the 2011-12 school year as part of the EPIK program in Ulsan, South Korea. During that school year I met Julia. She and I quickly fell for each other. Despite our connection, I had to return to Denver to attend to some family business the following year, while she stayed abroad to teach in South Korea. We decided to continue dating even after I went back to the States, but quickly learned that long-distance relationships across multiple time zones can be a full-time job. Once we realized that the situation wasn’t ideal, we decided that the best way to be together would be to teach abroad somewhere. The next step was to choose a location. 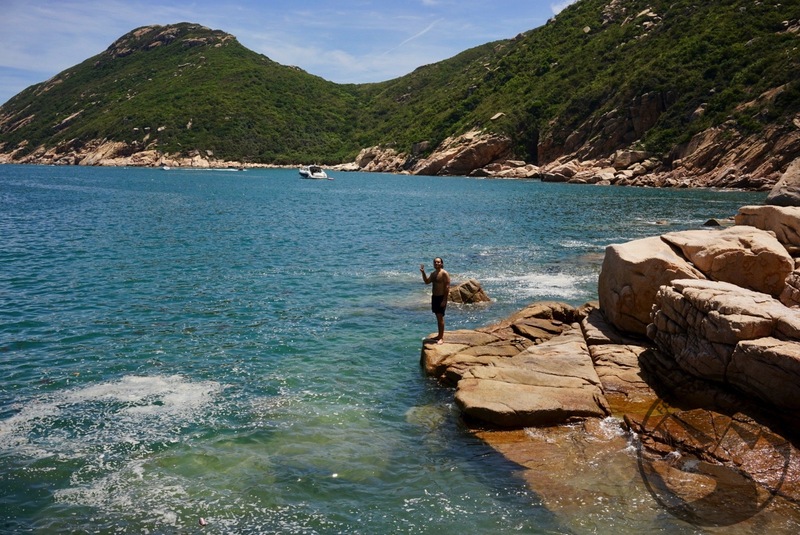 After a lot of research, who settled on Hong Kong because of its abundant job opportunities, ample green spaces and ideal location for traveling in Asia. Almost exactly a year after we parted ways in South Korea, Julia and I reunited in the Hong Kong International Airport in August, 2013. In July of 2016 we were married, and the rest is history. In Hong Kong, I’ve been teaching in the Hong Kong Education Bureau Native English Teacher (NET) Scheme, while Julia has worked in both the NET scheme as well as an international school. 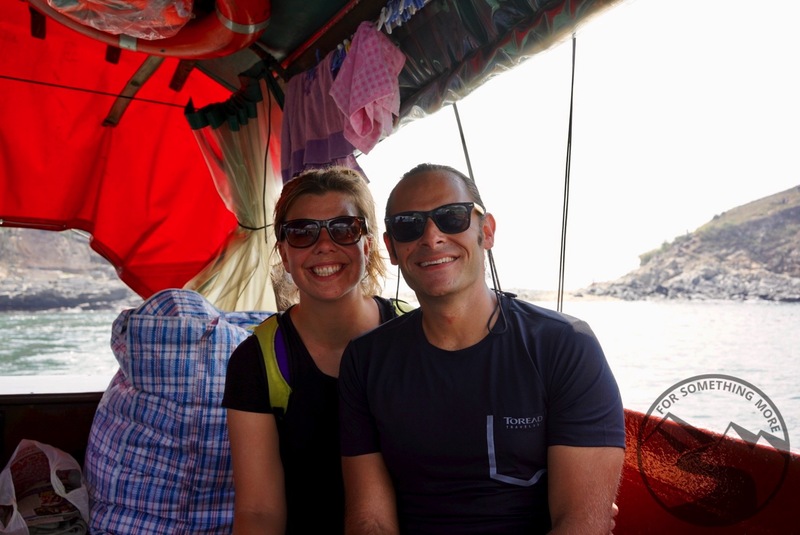 If you want Julia’s perspective on teaching abroad too, check out her story below. Something I find majorly appealing about teaching abroad is immersing myself in other cultures. I feel right at home when I’m in the midst of a bustling dim sum restaurant, where not a word of English is being spoken, and a waiter is shouting at me in Cantonese. Experiences like this give me perspective – as well as an adrenaline rush! I love feeling that I’m undeniably “the other,” and I get spiritual nourishment from continually testing and pushing the boundaries of my comfort zone. When I first arrived in Hong Kong, I thought the trains, buses and restaurants were very crowded. To me, it seemed uncomfortable. Fast forward to now, after nearly year six of living in Hong Kong, and I’m no longer phased by any of that. Moreover, when I travel to the States to visit family and friends, I can’t help but question whether or not people back there are using their space as wisely as they could be. On the job, I love experiencing approaches, management styles and bureaucratic methods that are far different from North American ones. That is not to say I always prefer the way things are done abroad, but it’s valuable to experience other approaches. I like knowing that I’ve lived in a place where things are done very differently, and where society still functions perfectly well. It helps keep me open-minded, and has instilled an understanding that there’s never only one “right way” of doing things. Of course, teaching and living abroad isn’t all fun and rainbows. As every expat knows, there are bound to be challenges along the way. But even when homesickness rears its head, I try to keep in mind that ever struggle is in fact an opportunity. For example, it took me a long time to realize that having to make multiple trips to the bank to open an account, or having to wake up four hours early to stand in line outside the immigration office, is actually an opportunity to practice patience and humility. Being abroad, I’ve also missed plenty of major events back home, which has taught me to really savor the time I am able to share with friends and family when I do make it home for a visit. When you teach abroad, it’s important to think about your career goals. For me, my goal is to become a master of my craft as a classroom teacher. While I’ve dabbled with the possibility of switching gears and heading into administration, I’ve come to realize that it’s the facetime with my students and the richness of our interactions and relationships that I cherish most in the teaching profession. Also, when you live abroad a teacher, be open to the possibility that you might end up living abroad for longer than you initially thought you would. My partner Julia and I only planned to be abroad for a year or two. Six years later – we’re still here! Another important thing to remember is that traveling abroad and living abroad are two very different experiences. Traveling is all about having fun, pursuing exciting activities and relaxing. Although working abroad is also fun and exciting, it can also be tiring, stressful and difficult. Don’t expect the relaxing experience you had while backpacking through Thailand to be the same as the one you’ll have when you’re working 50+ hours each week in a competitive environment. Don’t get me wrong, I love my job; but I also look forward to escaping for holidays. A key piece of advice for anyone hoping to teach abroad is this: Learn the local classroom-related cultural norms, and do your best to respect them in your pedagogical approach. If you come into a foreign school and expect to be the vanguard of pedagogical change, you’ll likely insult people and position yourself as an adversary. Respect the way they run their classrooms, and try to fit in. When you look for a teaching job abroad, start with your end goal in mind. Are you looking for a job that is low stress, doesn’t require you to have a teaching license and will likely not pay much more than your rent and grocery bill? Or, are you looking to make a career out of being a licensed teacher, and are you willing to work in a potentially high-stress environment where you’ll be compensated at a higher level? Decide what you’re looking for early in the process, and modify your expectations and actions accordingly. After nearly six years abroad, and despite my many friends and family members’ misconceptions that my life is a perpetual vacation, the day-to-day novelty of being in a foreign place has indeed worn off. And to many non-expat folks’ surprise, I do indeed experience the same sense of mundanity that everyone gets when they’ve gotten into the rhythm of a place. But, I’m still thirsty for more. I’m still eager to get into cultural situations I’ve never experienced before. I’m still keen to find my gastronomic boundaries with foods that make me a bit nervous. I’m still eager to take on challenges that teach me more about myself, and I’m increasingly excited to share my experiences and energy with those around me. Teaching abroad has put me physically far away from my family and friends in the States; but emotionally, mentally and spiritually, it’s put me right at home. • Teaching English Abroad: The General Market provides readers with all the basics of teaching English abroad. One of the most popular articles in this section is Teaching English As a Stepping Stone to Your International Career. • The Traveling Spouse: Why Work? is an important section for any “trailing spouse,” and it deals with how to find work when your significant other is posted abroad. • Special Concerns for Couples and Families see this article for advice related to the more personal side of moving abroad as a couple or family. • Skills and Qualifications for International Educators is an important read for anyone hoping to teach abroad long-term.